CATHARINE WOOD is a Los Angeles-based composer/producer with a recording studio in Eagle Rock. With a background in audio post-production for commercials, Catharine engineered on the first iPhone commercial among hundreds of national and international campaigns. 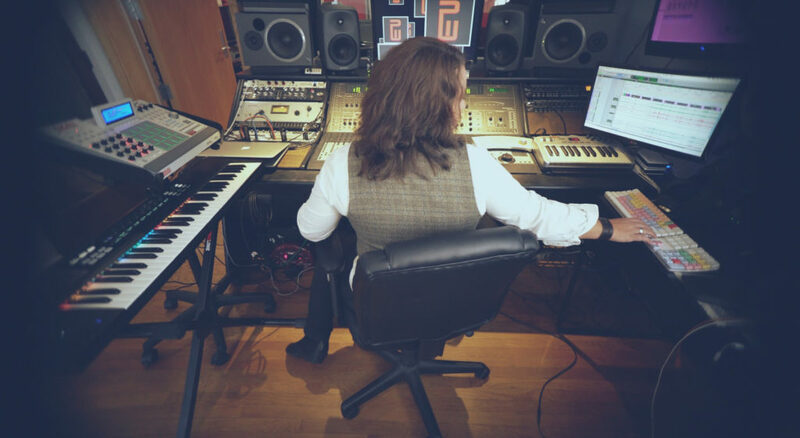 As a mix and mastering engineer, she has engineered on over 300 commercially released songs – including her own custom compositions which have aired on NBC, ABC, BBC, ESPN and more – both nationally and abroad. She is a GRAMMY® Voting Member and Producers & Engineers Wing member. 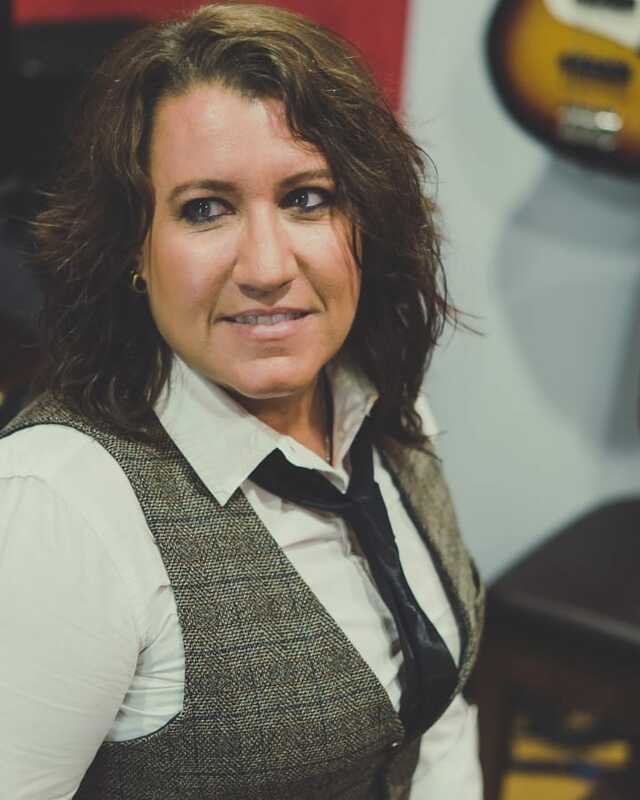 Catharine currently holds a position on the LA Recording Schools Recording Arts Program Advisory Committee, is a Board Member of the California Copyright Conference and is the former Director of Southern California for the West Coast Songwriters organization. Her company, Planetwood Studios, LLC, specializes in producing singer-songwriters and providing engineering, production and composition services to the TV and Film industries.The road to the world of audio engineering was not a straight path but a windy journey – where Catharine learned different skill sets that have allowed her to become a well-versed studio engineer and producer. Graduating from Colorado College with a BA in Art, she worked as a graphic designer until inspired by the results of aptitude testing taken at the Johnson O’Conner Research Foundation. Johnson O’Conner measures aptitudes and make career suggestions based on one’s naturally occurring aptitudes, as opposed to what you “think” you are good at. The tests showed that Catharine’s audio aptitudes; pitch, rhythm and tonal memory were unusually high. While Catharine had filled in “rock star” (despite paralyzing stage fright) for career interests on the questionnaire, they suggested “audio engineer”. Catharine was not a stranger to music and audio – in her junior year at college, she’d picked up the guitar and began learning by ear. Once she’d become coordinated enough to sing and play at the same time, she found songs pouring out of her – writing eleven songs in two weeks. She would later enter some of these songs into The Billboard World Song Contest and receive nine Honorable Mention awards. Catharine eventually left San Francisco to move to Carmel, CA. There she focused on music full-time. She started from the ground up reading books like “The Craft and Business of Songwriting” by John Braheny, listening to the entire Smithsonian Collection of Classic Jazz on vinyl, and taking vocal lessons from Monterey Symphony Choir vocal coach, Anne Hannon Burleigh. She also began playing guitar and piano daily and worked on ear training. Striking out on her own as a freelance engineer, one of her first jobs was as a studio and tech assistant to composer, Mateo Messina (music composer for Juno, Butter, Up In The Air, among others). At this time, she was primarily working in freelance music mixing and mastering and later shifted into composition and production. Once into production, she began composing original instrumental music and was hired to co-write and produce a theme song for ESPN. A big focus of what she does professionally now is “behind the scenes” for independent artists. She is currently producing several local Los Angeles singer-songwriters, including Billy Lawler. Planetwood Productions began as her ASCAP publishing company and has evolved over time to encompass her studio. Catharine has grown Planetwood Productions and now handles everything from commissioned pieces for ESPN to producing singles and albums for singer-songwriters. 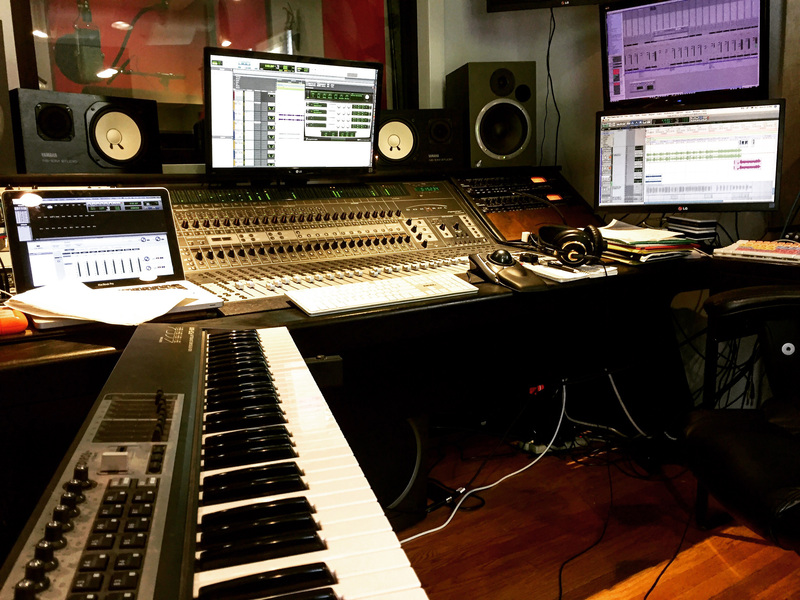 Planetwood Productions also offers full drums, production, composition and engineering. As she works with a wide range of clients and projects, it is safe to assume that Catharine does not get bored. Currently, she is working on EPs for a number singer-songwriters, taking the songs from pre-production through mastering. Recently she had a VO session in for a BBC documentary; with the producer and director producing the session via FaceTime from London. Planetwood Productions is the mix house for an in-progress independent feature length film, Lone Man’s Land, and Catharine is soon-to-be involved in a composer capacity as well. She rarely takes on “one-offs’ or demos and focuses on commercially released projects. Catharine is able to apply her strong songwriting skills to her producer work. She makes sure the form does justice to the song & sets it up for the most complimentary, successful arrangement. She works with a number of collaborators when composing and writes for various libraries and custom opportunities in a variety of styles. While Access Hollywood gets “electronic/dance” production, ESPN gets “orchestral/rock”. In the near future, Catharine aims to shift into a dedicated composer role for a specific show – as opposed to having her compositions placed in various shows. Catharine’s long term goals are to keep doing what she’s doing for as long as possible…and take a vacation at some point, it’s been five years. She’s had three days off in the last four months. What do you like best about sound? As music and as sound design, sound evokes emotion in all its forms – in a very visceral and universal way. When it’s too loud, it hurts. Physically. What if any obstacles or barriers have you faced? The economy tanked the same year that I lost my little brother to (a non-smoker) lung cancer…after 9 months from diagnosis to death. He was my lifelong best friend, 17 months apart in age – and diagnosed just months after I’d left my full-time position at PLAY Studios and set out to pursue a career in audio independently. To be self-employed for the first time and faced with that kind of loss was very challenging on all levels. I didn’t let the difficult circumstances break me. I continue to be resourceful and solutions-oriented. A positive attitude is key. Advice you have for other women and young women who wish to enter the field? Find passion in what you do best, creatively and professionally. Work hard, be fearless and you WILL succeed. What advice would you give to women looking to break into engineering or producer as a career? Songwriting/composition? Those are all very different aspects of the music industry…that require different skill sets. A common thread, however, is “know your strengths”…and focus on being the best at what you’re good at (after you’ve received a solid foundation of education); Patience, persistence, perseverance. What are must-know skills for people getting into the field now? This might sound dumb – but you have to know how to THINK…and connect the dots both technically and socially/networking. Engineering, especially, is a field that requires a very solid understanding of signal flow and cause and effect. Sound goes in A and comes out B. It is a profession that requires a large focus on detail and being very thorough from listening carefully during tracking to being very thorough at mix time. Skill sets that are critical include being good mechanically with computers and gear – and I mean replacing parts yourself if need be, not just being able to turn it on and launch Pro Tools. Communication. Being able to communicate well with clients/employers is critical. Creatively – be unique. What do you like/dislike most about your job? I love the creative process and most everything about my work – except billing. Many of my projects pre-pay…which is great. But there are a number of scenarios that require that billing be sent out after the work is done…and having to send repeated payment reminders is ultra-irritating for work that his already been completed and delivered. Have you had to make any changes/compromises since you’ve been freelance to be sustainable in the field? Constantly. Adaptability + diversification = longevity for my specific profession/s. The music industry has become increasingly competitive and more DIY. How do you find clients, and how do you explain to potential clients that the work you do is important? The majority of my business is gained via word-of-mouth. A good reputation is critical, as is a body of work that speaks well of your abilities. I also make sure to peel myself away from the studio for industry events. Any opportunity I have to participate in an industry event; be it the monthly AIMP (Association of Independent Music Publishers) lunches to the various corporate parties. I make sure I get out there and introduce myself. There isn’t any “explaining” to clients that the work I do is important; I’m usually selected because of the work I do. Right now, it’s a tie between my Yamaha U3 studio piano and AEA ribbon mic. I am a fan of getting sound IN as close to the way I want it coming out as possible. My studio allows me to use mic selection, placement and THE ROOM (and outboard signal chain) to achieve much of what a plugin might do. I work primarily in acoustic sounds (as opposed to a heavily processed style). That said, I have two different Pro Tools rigs with varying versions of Waves Gold as my go-to’s for in-the-box EQ, dynamics processing, etc. IF I have to use them. I also use EastWest Complete Composers Collection often and when I have to; Melodyne. Not as “favorites” – but as necessary tools. Favorite piece of outboard gear? Right now it’s a tie between my A-Designs REDDI tube D.I., the UA LA-2A and the Rupert Neve Designs Portico II Master Buss Processor.